As we prepared for retirement, we were constantly advised to make sure we diversified our assets. One potential area of investment was an annuity Thank God, we were able to find Annuity Educator. As the AnnuityEducator, he patiently took the time to discuss the differences in type, return of investment, length before receiving funds, and how annuities would meld with our other retirement investments. Then Annuity Educator researched and found the best annuity for our situation. 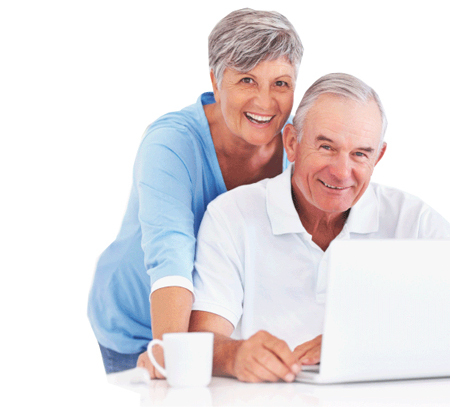 Now, after buying this annuity, in addition to our other investments, we feel confident and secure with our retirement future. After meeting with Annuity Educator, and having several more phone conversations, I realized that there was much more to Annuities than I fully understood. He took the time to explain everything in detail, and then helped me plan for a more structured retirement. I would recommend First American Advisors and Annuity Educator if you have any questions about annuities. Annuity Educator with First American Advisors was immensely helpful in providing my wife and I with information regarding annuties in his document entitled “The Secret Truth about Annuities”. His document explaining the various types of annuties, the terms associated with annuities, how annuties work and most importantly, showing where an annuity is benefical, was extremely enlightening and helpful. His access to all the companies that sell annuties and his ability to select the optimum annuity for our situation to provide the highest reliable payment on our principle with a top rated company gave us the assurance that we got the best annuity to meet our needs. I’ve been retired for many years now and uncertain about my financial future. Meeting Annuity Educator was a gift from heaven for which I am so greatful. He took the mystery out of the annuity and made the way clear for the best investment particularly for my situation. He took the time to explain what I needed to know to make the best decision …and he made the process effortless. I feel secure in the decisions made for my future and for my family thanks to His guidance. Thanks so much! Annuity Educator did a great job. He explained annuities clearly, made sense of them and answered all questions. He made the process simple and was on time for appointments. Annuity Educator is a great guy! Annuity Educator did a great job in helping me get this annuity and let me invest my money with no risk in the stock market.He explained everything in great details and was very helpful. Annuity Educator was most helpful in explaining the various retirement options. I recommend him to anyone who wants to receive broad based information. Way to go, Annuity Educator!!! Annuity Educator did a great job guiding us through the process of getting our finances in order for retirement. He explained everything so that we understood all of our options. He made the whole thing easy and enjoyable. My wife and I were new to understanding annuities until we met Annuity Educator of Annuities Educator. All in all it was a complex affair like everything else is in life until the process was thoroughly explained by Mr. Novak. We vouch our reputations that Annuity Educator is fully qualified to orchestrate your money and give you his best recommendation to suit your purpose. We invested the first portion of our assets and look forward to investing our second round! After searching for the highest return on an annuity product my wife and I decided on First American Advisors and Annuity Educator as the person to help us through the maze of finding the right product for us. Annuity Educator was able to use his database of annuity products to match up our needs with a life insurance company in Texas. Previously we were a customer of a large national investment company that sold us a variable annuity product that unfortunately had very high annual fees with only an average yearly payout. Annuity Educator was able to find several interesting annuity products, but one in particular interested us. We are now delighted clients of Annuity Educator and we own a great annuity product that has far lower annual fees, and a substantially higher annual payout. The difference is great. 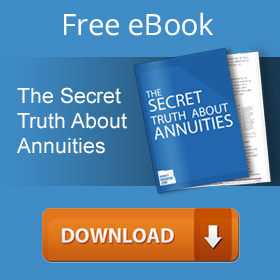 My experience with Annuity Educator was beyond all my expectations. I met a lot of advisors from top financial companies and none of them earned either my respect or my money. With Annuity Educator I felt comfortable as he was explaining everything in plain English showing illustrations, graphs and tables. I made an educated decision and put my money into flexible premium indexed annuities. Now I feel great, no matter what happens with the stock market I would not suffer the devastating losses of 2008 crash again. My money is earning around 7% tax deferred interest and I know I will be getting income for the rest of my life and my beneficiaries would get the residual value of my annuity account. It is “win – win” situation. I highly recommend First American Advisors, Inc. to all baby boomers like myself and younger generation as well. Just do it for your own peace of mind. I was in their office recently waiting for a meeting and just happened to be there when another husband and wife arrived for their own appointment. WOW – talk about happy customers! I got an unexpected opportunity to hear from a long term client how much they liked the service and knowledge they had received from working with Annuity Educator at First American. Annuities are complicated. One mistake can have dire consequences. Annuity Educator is very knowledgeable on the options – he studies and specializes in this area and as a result – has information I could never amass on my own. And I like the fact he offers free consultations – set an appointment with him and you’ll see for yourself. Maggie works at the front desk and was also VERY helpful. Annuity Educator helped me research annuities and eventually buy one. He and his staff were insightful, helpful, and (perhaps most importantly) patient. I have recommended him to friends, and I expect to do so again. Great working with Annuity Educator; All that are considering an annuity should give him a call.